It's Dora's birthday and she can't wait to get home -- but she gets stuck in the Magic Storybook when a twisty wind whisks her away to the land of the Wizzles! There Dora and Boots must journey through Wizzle World to find the Wishing Wizzle so Dora -- with the help of readers -- can wish herself back home. 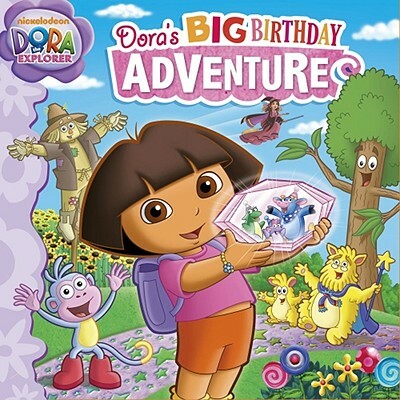 The story ends with a big party at Dora's house featuring her family, friends, and all of the wonderful characters that have appeared in the past ten years of Dora the Explorer . Happy birthday, Dora!